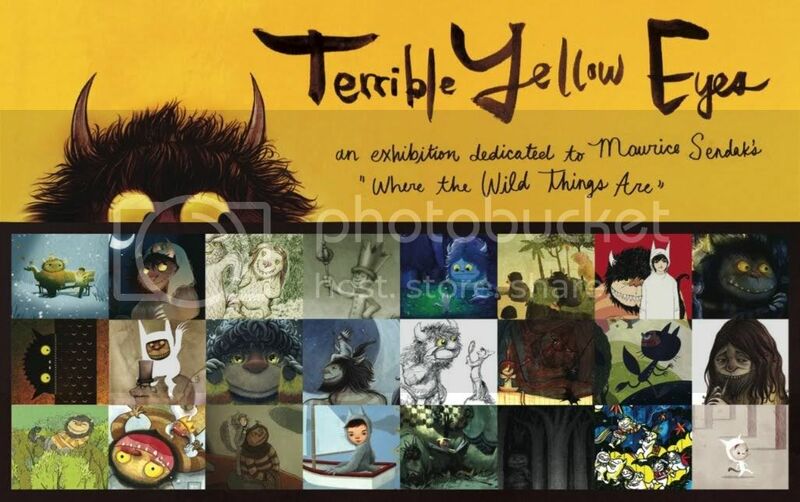 I've mention Cory Godbey's Where the Wild Things Are tribute site, Terrible Yellow Eyes, before. Now, it's become an exhibit at Gallery Nucleus. If you are anywhere near LA, I am officially jealous. The exhibit opens tomorrow. Good luck to Cory and all the participating artists. Anyone would be hard-pressed to find a collection of work with this much heart anywhere else.